Fiona Wilder knows all about falling in lust. Love? That’s another story. Determined not to repeat past mistakes, the single mom and cupcake shop owner is focused on walking the straight and narrow. But trouble has a way of finding her. And this time it comes in the form of a smoking hot firefighter who knows all the delicious ways to ignite her bad-girl fuse. Can lead to heartbreak . . .
Firefighter Mike Halsey learned long ago that playing with fire just gets you burned. He’s put his demons behind him, and if there’s one line he won’t cross, it’s getting involved with his best friend’s ex. But when fate throws him in the path of the beautiful, strong, and off-limits Fiona, will he be able to fight their attraction? Or will he willingly go down in flames? Or a sweet surprise! 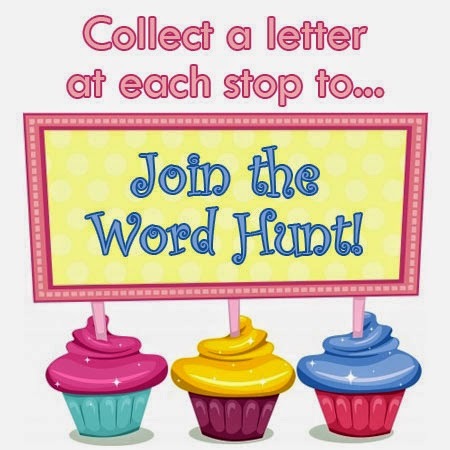 Readers, you will have to visit EACH tour stop to find the letters, and then enter the “Secret Word” into the Rafflecopter for more chances to win! Candis is giving one lucky commenter a complete Sweet Texas series in print or ebook format, a $25 Amazon GC, and a Custom “Fiona Inspired” Origami Owl Living Locket or Charm Bracelet (Winners choice). 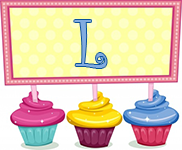 Click HERE for Rafflecopter. To follow the tour, click HERE for a list of participating bloggers. Coral Cove is a beautiful town, full of rich history and memories (both good and bad), and quaint little diners and beach entertainment. It’s the perfect backdrop for two strangers from different states, different backgrounds, and different priorities in life to meet … face off in a war of wills … and fall helplessly in love. 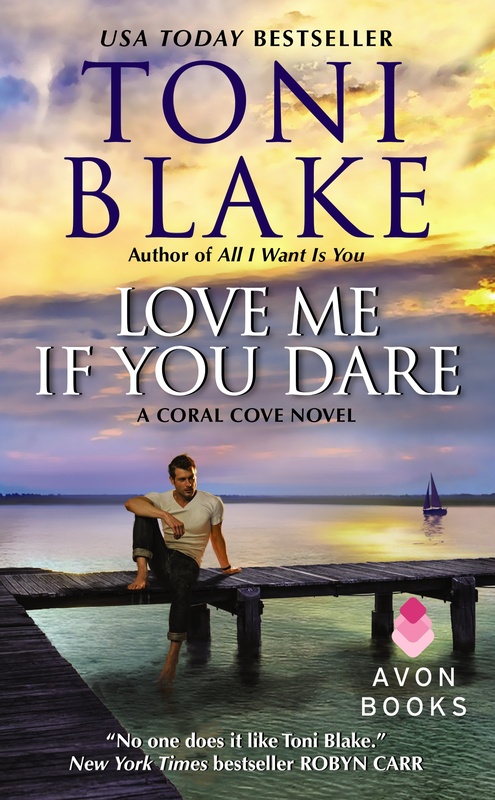 I very much enjoyed reading Love Me if you Dare, the second book in the Coral Cover series. The instant attraction between Camille and Reece is undeniable, but natural. The easy way Ms. Blake uses secondary elements like the iguana (aka dinosaur) and a stray cat to bring her characters together. The witty banter between the two made me laugh out loud. While at the same time I could feel both Camille and Reece hurting even before I knew exactly why. I loved the interaction with his friends in town, the snorkeling trip, even getting stranded at sea to deepen their understanding of each other and build the relationship. I liked that both their histories unfolded throughout the story rather than telling us everything up front. Both characters had a hidden soft side they were afraid to admit to, but neither one could stop from showing. Love Me if you Dare was the first book I’ve read by Toni Blake. But I’ll be reading more, starting with All I Want is You. Love Me if you Dare gets 4 and a 1/2 Red Pumps! Laidback Reece Donovan likes life simple. No amount of money – or any other temptation Camille can offer – will convince him to give up the one link to his past. Of course, it would be easier without the powerful chemistry raging between them. Ms. Blake is giving away a print copy of All I Want is You to FIVE random commenters during the tour. Click HERE for Rafflecopter. To follow the full tour, click HERE. USA Today bestselling author Toni Blake’s love of writing began when she won an essay contest in the fifth grade. Soon after, she penned her first novel – nineteen notebook pages long. Since then, Toni has become a RITA-nominated author of more than twenty contemporary romance novels, her books have received the National Readers Choice Award and the Bookseller’s Best Award, and her work has been excerpted in Cosmo. 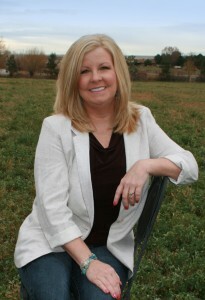 Toni lives in the Midwest and enjoys traveling, crafts, and spending time outdoors.